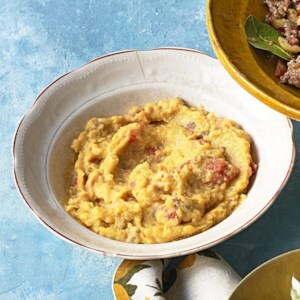 Find healthy, delicious cornmeal and polenta recipes, from the food and nutrition experts at EatingWell. 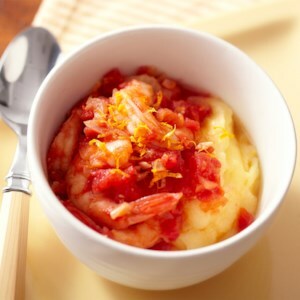 Creamy polenta is topped with a mixture of tomatoes and shrimp in this 25-minute seafood entrée. Don't skimp on the orange peel--it adds a delicious zest to this under-200 calorie meal. 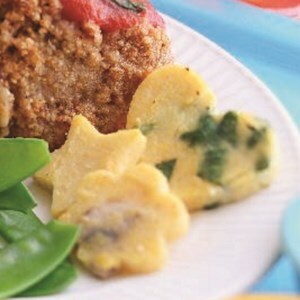 Make this fun side dish with your kids! 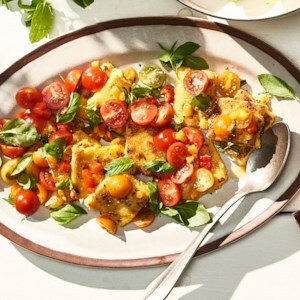 They'll enjoy helping to cut the polenta into shapes and they'll definitely love eating the cheesy cutouts they helped you create. Don't toss those beet greens! 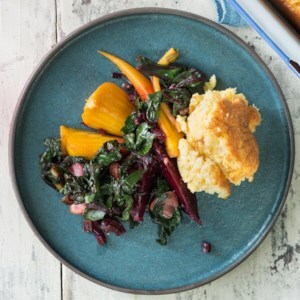 In this healthy recipe, orange-glazed beets and garlicky beet greens are served alongside a cheesy spoonbread. 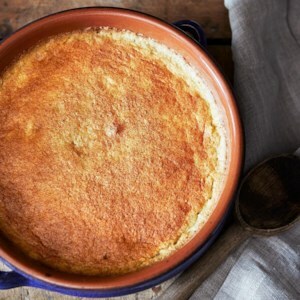 If you've never tried a spoonbread--a custard-like cornbread--you're in for a treat. Serve this Southern-inspired recipe with oven-fried chicken or sautéed shrimp. 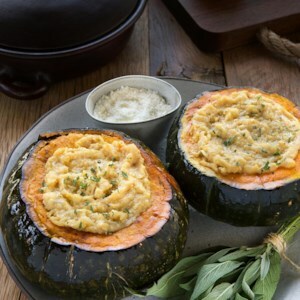 This corn pudding recipe gets a flavorful twist from the addition of vanilla bean. Though you may think of vanilla only when it comes to dessert, this is a great example of how wonderful it can be in savory dishes. The scent of the vanilla enhances the buttery corn and custard taste of the casserole. 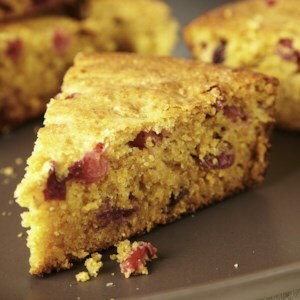 Cornbread gets a festive makeover in this recipe with the addition of fresh and dried cranberries. If you like your cornbread on the sweeter side, increase the honey to 1/2 cup. The outside of this rustic-looking bread is crunchy and the inside is soft, with a smattering of small bits of corn grits and millet or sesame seeds. 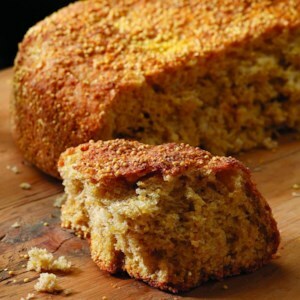 The loaf's mild corn flavor goes well with chowders, stews and Tex-Mex dishes. The bread calls for millet, but sesame seeds can be substituted with good results.  A pot with a 9- to 10-inch diameter, such as a Dutch oven, will produce a nicely domed loaf, while a wider-bottomed pot will allow the dough to spread out and form a relatively flat loaf. 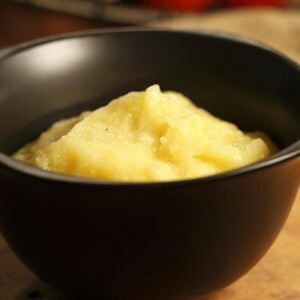 This easy polenta takes only a few minutes of stirring before it's left to cook on its own to creamy perfection. If you have leftovers, chill them overnight in a greased pan, slice into slabs, brush with canola oil and broil until both sides begin to crisp. Serve as a side dish at supper or for breakfast with maple syrup or honey. Flecked with fresh herbs and dried currants, this corn bread stuffing is a nice alternative to regular bread stuffing.